The Indigenous People of Biafra, IPOB, has said President Muhammadu Buhari’s refusal to participate in weekend’s presidential debate with other candidates has vindicated its claims that the President has been cloned. IPOB Leader, Nnamdi Kanu made this known in a radio broadcast to his members yesterday. 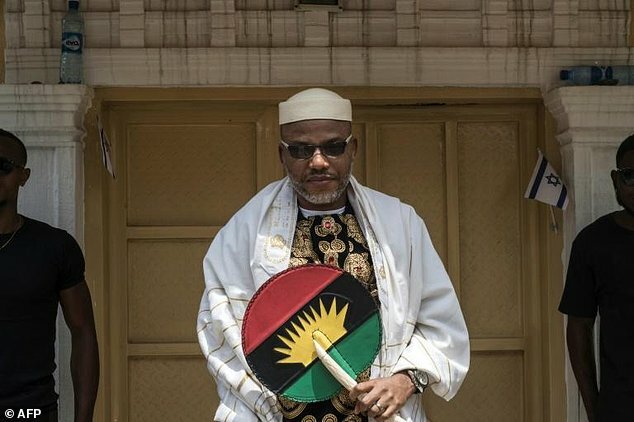 Kanu also blamed South-East governors whom he described as “stooges” of the northern establishment for allegedly orchestrating the labelling of his group as a terrorist organisation by the Federal Government, saying that the invasion of Igbo land by soldiers on Operation Python Dance 11’informed IPOB’s decision to boycott the forthcoming general elections in the country. The speech read in part: “It has come to my attention that some people may have elected to misinterpret what I said regarding election boycott. The same way some Lagos-Ibadan gutter media attacked my expose on Jubril but today, everything I said about the impostor is unraveling one after the other. This news broke this evening (Saturday) that President Buhari will not participate In the presidential debate. “This evening, I will offer clarifications to remove whatever ambiguity mischief makers may have introduced in their desperate attempt to dampen the spirit of our people. I must make it categorically clear that we IPOB are boycotting the forthcoming elections starting with the February 16 presidential election.